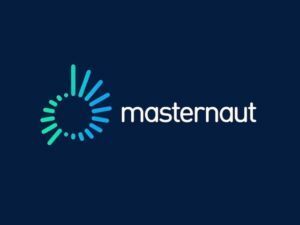 Telematics and fleet management company, Masternaut, is re-shaping its operations to focus on software rather than hardware, aimed at helping businesses and Governments better utilise fleets’ data. Launching alongside a new logo, the restructure is said to be readying the company for a significant increase in data generated from connected vehicles. Albert Chu, the company’s vice president of strategy and marketing, told Fleet World that most would be connected by the end of the decade, with almost all vehicles on the road set to have the technology by 2030. Chu said this marked a turning point; the last ten years had seen fleets introduce a multitude of new technologies such as smartphones, satellite navigation and tablets to digitise some processes. But, he said, change so far has been limited, with many still not digitising important processes, or taking full advantage of the data they generate to improve safety, cut costs and reduce environmental impact. “We view the next ten years as transforming operations around technology. It’s not just incorporating the technology, it’s changing the way you operate because of the massive increase in data that you have, as well as the massive increase in intelligence about what you do with that data. That is going to end up transforming operations through technology,” he explained. As a result, the company has invested in its Catalytix data team, growing its capabilities beyond project management and business intelligence reporting, to utilising data to help fleets identify efficiency improvements. It has also put a data science team in place, recruiting specialists from outside the fleet industry, to help find trends and patterns from across its customer base. The aim will be to make better use of the data that this produces. As Masternaut’s technology can pull economy data direct from the CAN bus, this can be used to reflect exactly which vehicles offer the most efficiency on which roads, and for specific industries – said to be of interest to leasing companies and underpinning advice for customers, Chu explained. Data generated could also be used to identify accident blackspots, via clusters of harsh braking incidents, and means businesses can benchmark their fuel efficiency based on similar operations, cut their fleet size by 5-10%, and identify and replicate the best processes. From Q3 this year, Masternaut will also be able to certify fleets environmental performance compared to peers, without the up to 5% inaccuracy that can come from using data from fuel cards.